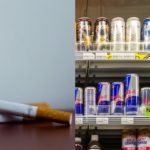 The sale of single sticks of cigarettes needs to be banned because “it is a tactic mainly used to lure children and young adolescents into smoking,” said Dr Aishath Aroona, vice chair of the Tobacco Control Board. The health authorities have drawn up new rules to stop the sale of single cigarettes and introduce graphic warning images on packs and tobacco products. 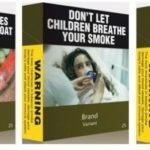 The sale of single sticks of cigarettes needs to be banned because “it is a tactic mainly used to lure children and young adolescents into smoking,” Dr Aishath Aroona, vice chair of the Tobacco Control Board, told the Maldives Independent after the ‘regulation on packaging and labelling tobacco products’ was submitted to the president’s office for approval on September 7. “We hope it will come into force by January 2018,” she said, noting that smoking is now the number one cause of death in the Maldives with an estimated one death a day as a result of tobacco-related illnesses. “Right now, we have no regulation on tobacco control. We only have an announcement under the tobacco control law which requires text messages warning about the health risks,” she explained. 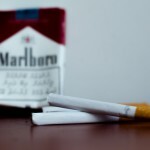 Aside from graphic images on cigarette packs and tobacco products, it would also restrict the sale of other tobacco products to quantities above 30 grams. Some 462 million cigarettes are imported in the Maldives every year and an estimated MVR 1.1 billion (US$71 million) is spent on smoking. 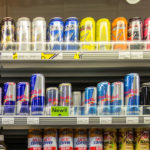 “The most vulnerable groups are children and young adolescents and this regulation would hopefully make them more aware,” said an official from the Maldives Medical Association. The Cancer Society of Maldives welcomed the regulation as “imperative based on the growing risk of cancer in the country”. The HPA says current trends show younger age groups, including children, at higher risk of developing cancer. 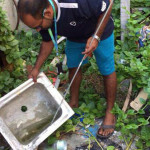 A special award for Maldivian households that remain free of tobacco products for one year was meanwhile announced last Monday at the online launch of a healthy lifestyle campaign. Dr Aroona noted that the Maldives is party to international conventions on tobacco control and obligated to present annual progress reports. “It is also a Sustainable Development Goal to reduce tobacco consumption and smoking by 30 percent by 2025,” she added. Last week, the regional director of the World Health Organisation for Southeast Asia presented Health Minister Abdulla Nazim Ibrahim with the World No Tobacco Day award in recognition of the Maldives hiking tobacco tariffs, which pushed up the price of a cigarette pack from MVR48 (US$3.11) to about MVR75 (US$5). The price of a single cigarette rose from MVR2.50 to about MVR4 in March. 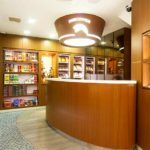 The parliament also approved charging an additional 25 percent of the invoice value for all tobacco items. On this year’s World No Tobacco Day on May 31, the health minister also hinted at regulations to control other tobacco products such as e-cigarettes, vapes and shisha.